Lock in a great price for The Harrington Residency – rated 9.1 by recent guests! It is in very secure area as almost opposite of American Consulate.Many good restaurants close by .Clean and with good breakfast Reasonably priced. 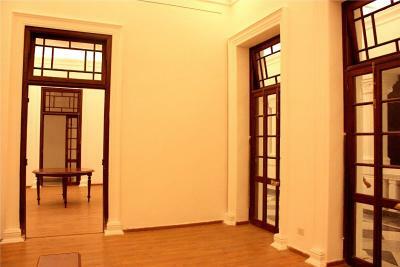 A beautiful room in an elegant colonial mansion – with an art gallery next door! A very unique and memorable experience. 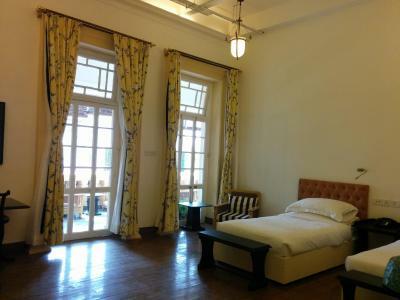 Immaculately clean and spacious room, plus great facilities and a lovely, elegant modern bathroom. A beautiful balcony for relaxing and a great café for breakfast. Very helpful, friendly staff and delicious food. 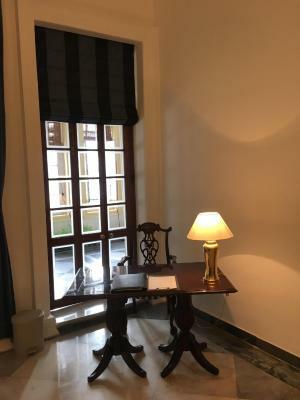 The Harrington Residency is situated in a quiet street where you feel very safe walking around, offering a true sense of calm as soon as you step inside the door – a real oasis in which to relax away from the throng of the city. A great location too to many of the main sights. Would highly recommend and would definitely stay there again. Thank you. 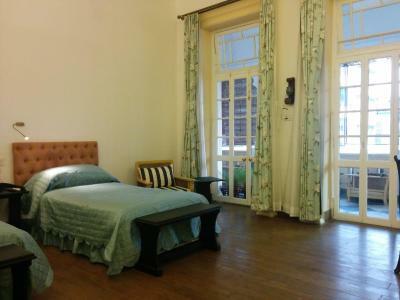 Good location on a quite street but close to Maidan station and shopping centre. Staff are very friendly. I really enjoyed my stay! Huge comfortable room, the best shower (water pressure and actually hot!) nice breakfast plus a truly helpful and lovely staff. Hope I can stay again. Highly recommended. Kind staff that is very attentive. Bed was comfortable, the room is large. 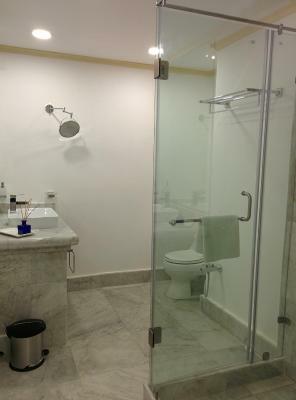 Also, the bathroom is modern with excellent water pressure in the shower. 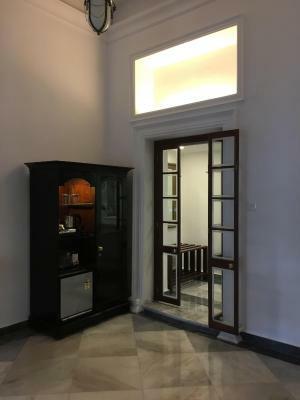 The hotel only has 3 rooms that are attached to an art gallery, which makes for a very unique place. 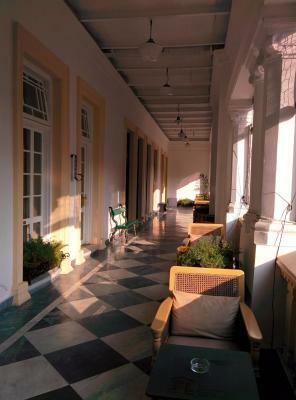 All rooms are next to the large balcony where you can take tea and enjoy the evening breeze. Clean, spacious bedroom and large marble bathroom with an oversized walk-in shower that has room for two or more... Charming, cordial staff. Excellent location. Wonderful restaurants nearby. Ask the hostess for recommendations for Italian, yes Italian, food at Fire and Ice Pizzeria and the location for the best momos ever. Gabbar's is a fine stop for delicious lunch and dinner fare served by a terrific staff next door to the Harrington. 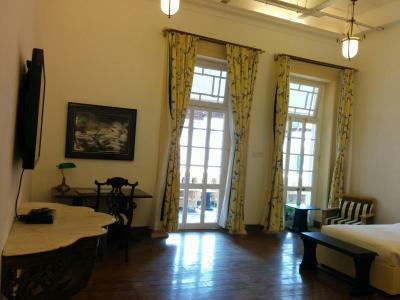 I love the room interior, it has high ceiling and it is so spacious. 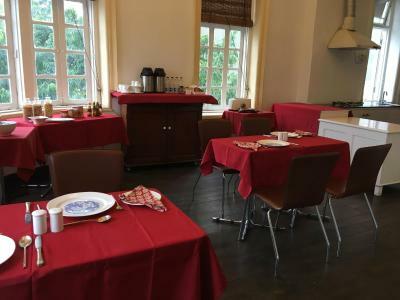 In front of the room is a long balcony with sofas and tables, so it's nice to have your breakfast there, so just to have a cup of coffee. The bed was so comfortable, the tv has a lot of channel. The bathroom was huge and clean. If you feel dont want to go out, the hotel staff will help you to order your food, it's really convenient when it's raining. Sangita the manager and the staff were extremely helpful and nice. She can help you to order taxi/uber. 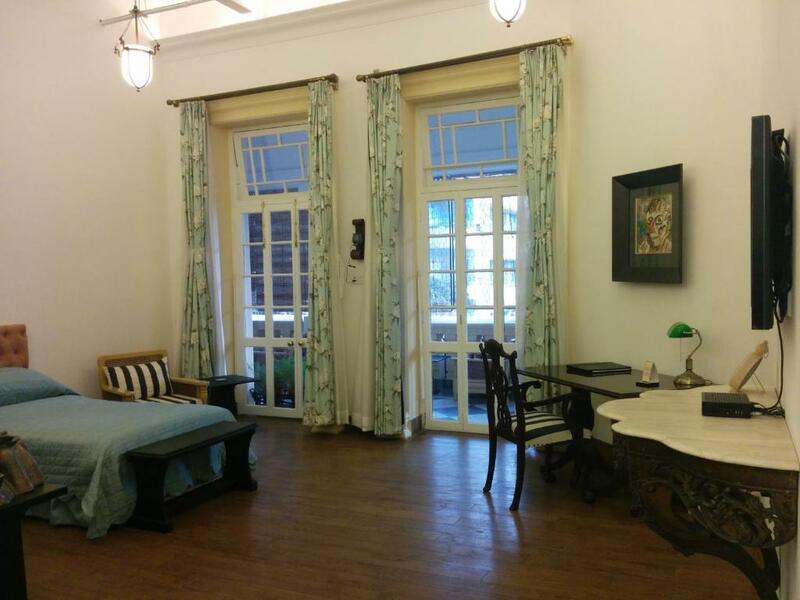 Room was excellent, the internal ambience and lavishness in terms of size of the room. Quirky but wonderful hotel near Park Street. Fabulous rooms and very attentive staff. The Harrington Residency This rating is a reflection of how the property compares to the industry standard when it comes to price, facilities and services available. It's based on a self-evaluation by the property. Use this rating to help choose your stay! One of our best sellers in Kolkata! 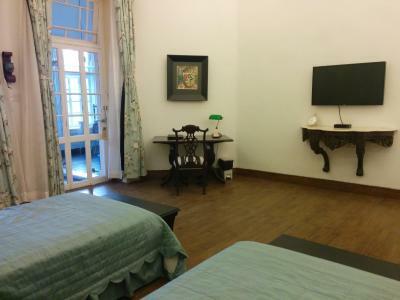 Located within a 14-minute walk of Victoria Memorial in Kolkata, The Harrington Residency provides accommodations with free WiFi and flat-screen TV. Indian Museum is 0.8 miles from The Harrington Residency, while Nandan is a 17-minute walk from the property. The nearest airport is Netaji Subhash Chandra Bose International Airport, 10 miles from the property. 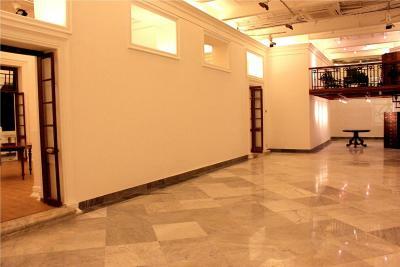 This property also has one of the top-rated locations in Kolkata! Guests are happier about it compared to other properties in the area. When would you like to stay at The Harrington Residency? 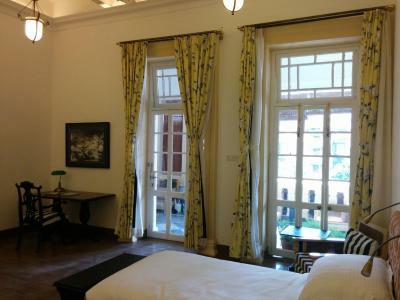 This twin/double room has a balcony, tea/coffee maker and mini-bar. House Rules The Harrington Residency takes special requests – add in the next step! The Harrington Residency accepts these cards and reserves the right to temporarily hold an amount prior to arrival. My friends and I had an absolutely brilliant stay at the Harrington - the staff were very helpful, the breakfast was excellent and location perfect. Thank you very much! Location is perfect! Calm area :-) Checkout was flexibel...of course if room is free. AC is efficient but makes too much of noise. The entrance isn't inviting. Persevere... go past that and up to the second floor by stairs or lift. We arrived late in the evening and the guard didn't have much English ... however he was very helpful. 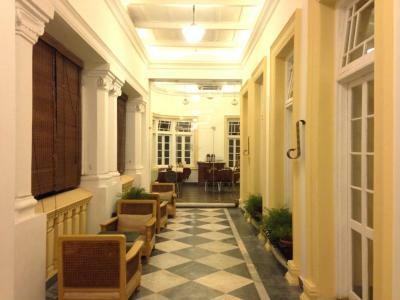 The Colonial look and feel ... a reminder of grand old days. Close to one of the main areas ... lovely Elliot Park & Queen Victoria tribute, kerbside markets, museum .... in the same street as the American and British Consulates. Old iron lift! There is a great restaurant only a few doors down the road ... with a Bollywood theme. Sangeta and the staff were lovely! Great location with easy access to lots of the sights! Great balcony to watch the storms and life pass by! Good food nearby! Nothing. We had everything we needed and more. This is our second stay at this property. We love the ambience and the location. The staff are friendly and helpful, and the facilities for a Bed and Breakfast very good and comfortable. The breakfasts were huge and we love the small intimate feel of this place. The room was very large and clean, the showers hot, and the mini bar and fridge and free water all the time was very good. 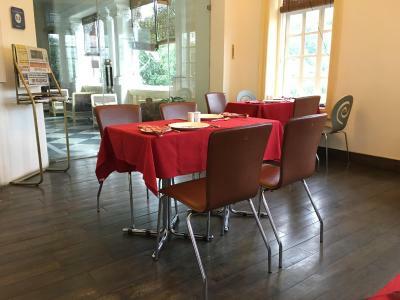 We ate at the Astar hotel behind the US Consulate, which was very near and good. We were very relaxed and would stay here again. 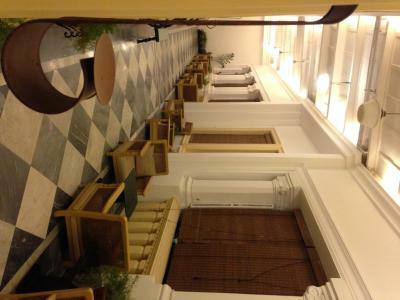 It was in a great location, the building and its interior had such wonderful character and very clean and well maintained. The staff were very attentive, welcoming and helpful. I would have happily stayed there longer if time permitted. The breakfast in the morning is wonderful and plentiful; if you don’t eat much at breakfast you may have to roll yourself back to your room (very happily), after the first day of this experience they were more than happy to make and provide only what you feel you can eat with no offence. The location was perfect - easy access to everything, yet quiet and relaxing. Staff were great - friendly, helpful, and professional. All staff so helpful, quiet and lovely to read on the veranda location was great do not question just book the Harrington today! First rate B&B co-located with an art gallery. Comfy beds, great bathroom and wonderful breakfast. Very quiet place in convenient location. 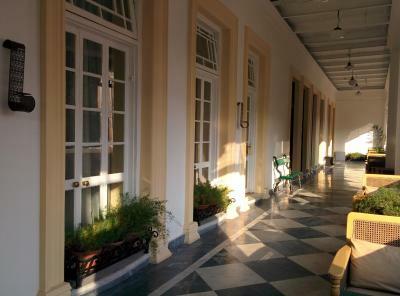 The verandah is a great place to sip morning coffee. Staff very good.